Is Apple losing its bite? The consumer electronic titan has suffered from a falling share price since its all-time high last year. Now, for the first time in two years, it's dipped below $400 apiece. As ends up happening to any company with a mad share price ascent, it looks like Apple’s sheen is about to come off. Despite having been up at over $700 per share last October, the price has now dipped below the $400 mark for the first time since December 2011 as shareholders start to freak out about the firm’s slowing sales. It was yesterday that the shares got as a low as $398, and they finished the day down 5.5% to $402.80. Cue excruciating soul searching for the top brass at Apple, who must long have feared that talk of former CEO the late Steve Jobs’ death being ‘the end’ for the firm would start to manifest itself in reality. There is the possibility that the firm’s quarterly results – due next week – will be a saving grace, but a supplier has fuelled the latest concerns about sales. Cirrus Logic, which makes sound and speaker parts for the iPhone and iPad just reported a drop in its own sales. For Apple-watchers, this is bad news: that contract accounts for about 90% of Cirrus’s sales. Yep. Apple has enjoyed gargantuan profits thanks to the wild popularity of its iPhone and iPad, shifting tens of millions of each product, but its market share is being gradually eroded. 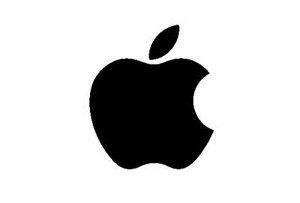 Its main nemesis is Samsung, which in December sold 64.5 million smartphones – Apple sold ‘just’ 43.5 million. But this is a gap that has been widening and shows no sign of slowing down. In terms of the still-exploding tablet PC market, Samsung doubled its share to 15.1% in Q4 last year, whilst Apple’s share slumped from 51.7% to 43.6%. It is a little unfortunate for Apple that there appears to have been some delay in getting its latest products into the pipeline. Apple always takes its time, only releasing products when it feels they are ready, but add to all of this the growing noise about how Apple isn’t as inspiring, inventive or creative as it used to be (and that’s according to consumer surveys) and the future is starting to look less sweet. The new iPhone and iPad will really have to deliver when they arrive.